In the previous chapter Lehrer discusses the circumstances surrounding spontaneous sparks of insight. 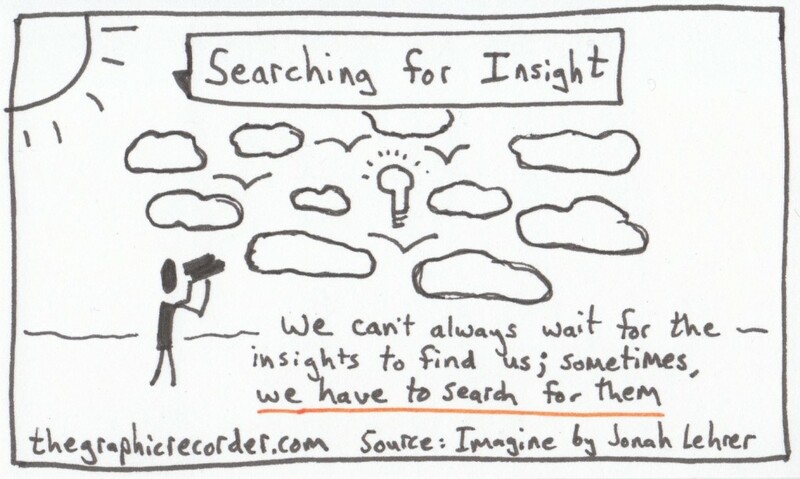 This chapter focuses on the deliberate search for insightful ideas. Though moments of insight are often the most exciting part of the creative process, it is important to remember that they are most often the beginning of that process, not the end. 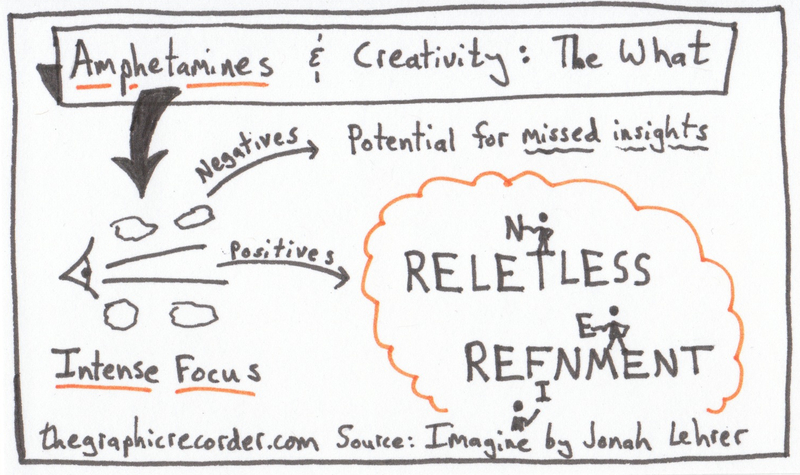 This sketch shows the effect of amphetamines on your state of creativity – they give you the power to focus intently on a particular task so that your can relentlessly refine your initial insight. And here’s how amphetamines do that. They release dopamine in the synapses between neurons, which facilitates communication between cells, resulting in a more powerful working memory. 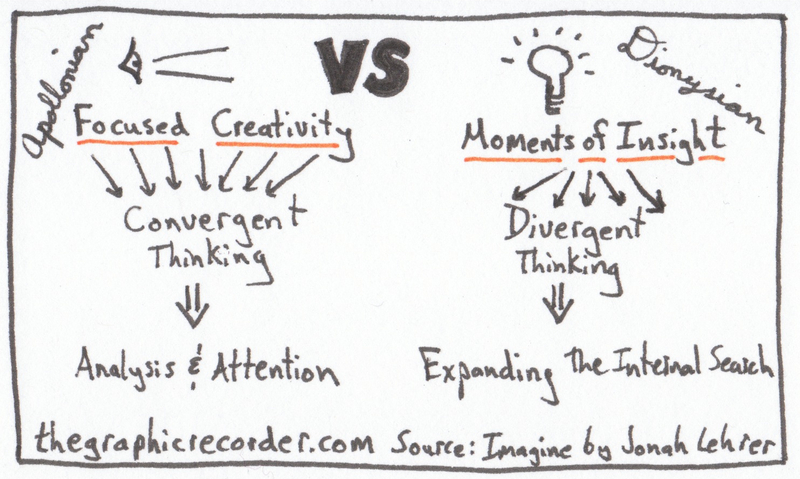 This sketch shows how focused creativity (convergent thinking) differs from moments of insight (divergent thinking). The former allows us to focus our attention on the details while the latter opens up pathways to allow for remote associations to be made in the brain. 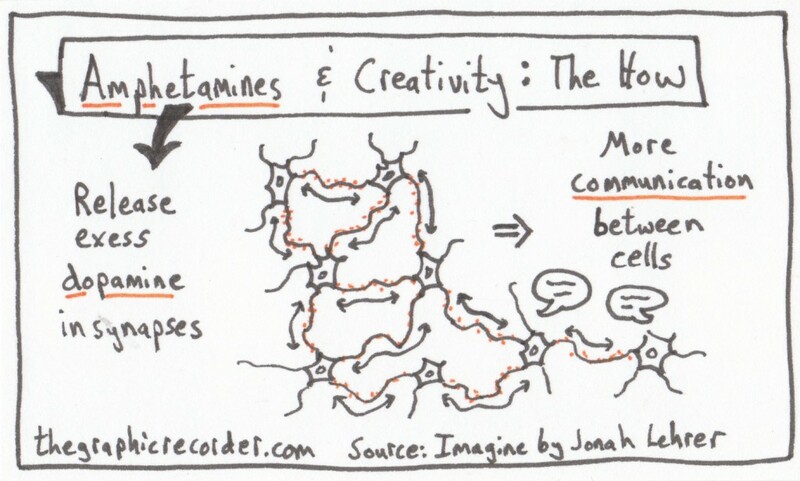 Both are important in the creative process. 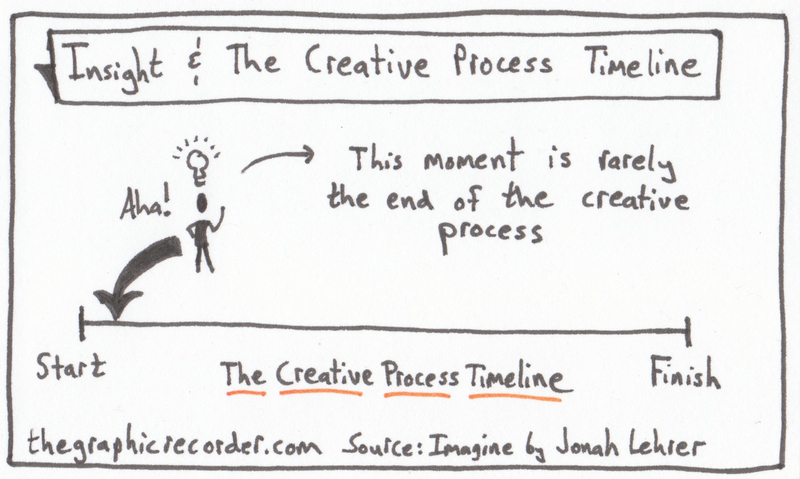 But in order to reach the end of the creative process you need to know when to use each approach. This sketch shows you how. 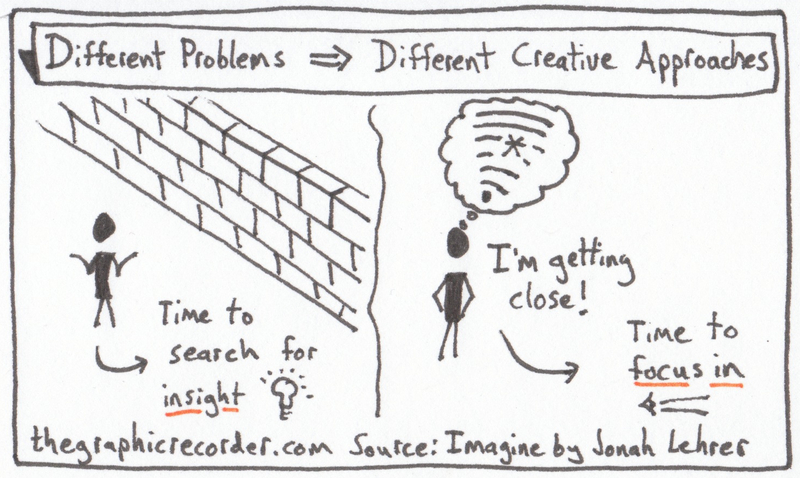 When you’ve hit a wall, you need to seek out insight-generating environments. When you feel that you’re close to your goal, focus in and get it done (with the help of amphetamines if you so choose). The sketches above are part of a project titled One Card One Concept in which I attempt to sketch out individual concepts onto 3×5 note cards in an effort to both understand those concepts better and enhance my ability to recall them in the future. I hope you find these sketches interesting and maybe even a bit useful.